Last year I discovered Spoonflower and I am in love... For anyone who doesn't know, Spoonflower allows you to design your own fabric as well as order fabric designed by other uses (so long as the user has made the design available for purchase). 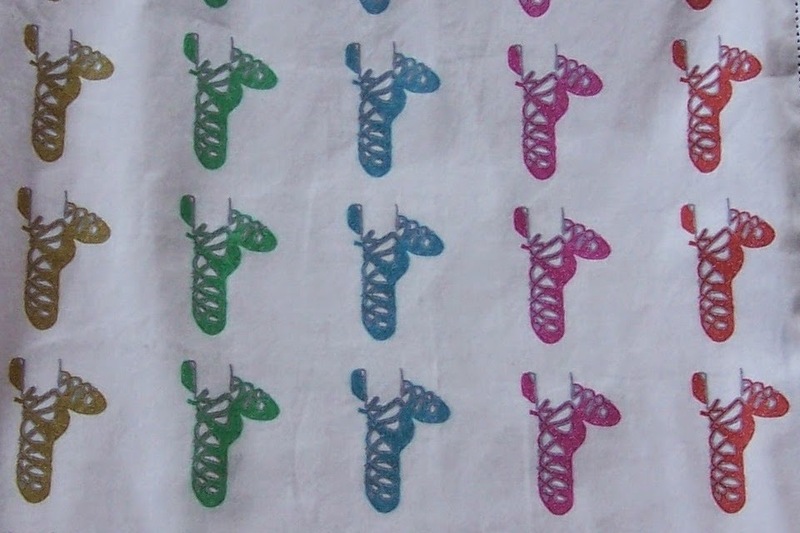 Since Irish dancing themed fabric isn't something that's readily available at your everyday craft store, and I couldn't find any designs on the site that were quite right, I just had to make some! You can check out my designs here. I'm really happy with how they turned out. Since I didn't actually know what I wanted to make with it all, I started out by ordering a meter of each of my first few design. I started out by making my daughter an applique top and pencil case. I then made up some samples of other items (pencil cases, accessory bags, key rings, shoe bags & pajamas), opened up orders from other dancers in our Irish dancing school, and put another order in to Spoonflower. I wasn't in it to make money off the dancers, just enough to cover my costs and a little extra for my time. I really just wanted to offer them the chance to get a special Irish dancing thing. The pajamas were by far the most popular.